Summer is a time to let your hair down and start enjoying the glorious weather! During the months of June-August San Diego is known for an average high of 76 degrees and a low of 65 degrees. What does this mean when it comes to defining San Diego style? I like to call it California-Laid-Back-Chic! Basically, our city is an active one, so styles need to be comfy yet chic. We are casual but do dress up when the occasion permits. Make sure to pack lightweight cotton and silk clothing, jeans, t-shirts, shorts and summer-type dresses for the warm days and a either a fitted jacket or a lightweight sweater for the cool evenings. During the day, always have handy your “sunnies” (sunglasses) and a cool hat like a Fedora. 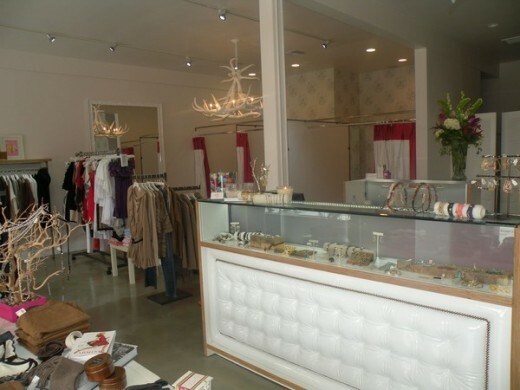 One of my favorite’s to shop in for summer attire is Maggie B in the chic area of Rancho Santa Fe. I love to shop here for everything from summer day dresses to resort wear. This is the perfect boutique to pick up the latest lightweight denim Capri’s during your vacation in San Diego. They are known for carrying both hard-to-find European and American designers at various price points. Be sure to check out the one-of-a-kind pieces of the local jewelry designs of Sette Divini Jewelry! One of our newer boutiques in the trendy urban area of Little Italy, The Shopaholics Boutique, features the latest summer obsessions of bright bold colors to current prints! I love the uptown smart high-low dresses, shorts, and retro-80’s inspired asymmetrical cuts. The featured men’s line is a sought after Miami brand and only carried here on the west coast. 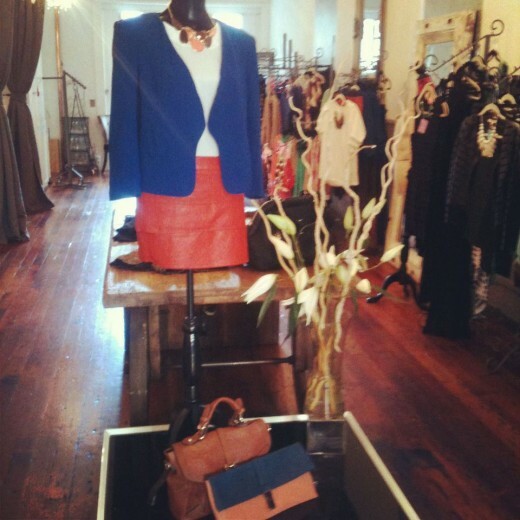 With new merchandise arriving every week this boutique is a must see! If resale shops are your thing, which it is for me, I highly recommend Girls from the Park, located in the quaint neighborhood of Point Loma. This modern spin on resale shops carries go-to brands that add instant polish to any summer attire. They are great at featuring the current summer wear and with the owner being a native San Diegian, she really knows our casual yet chic approach. I also love that they feature vintage pieces as well. You can be rest assured to find a one-of-a-kind summer addition here. My last, but certainly not least, recommendation on finding summer styles would be at LeBelAge Boutique, located on the chic shopping street of Mission Hills. The owner is always ahead of the game when it comes to seasonal style. The cotton maxi dresses, blouses, Capri’s and tunics are a perfect summer solution to any wardrobe. This boutique is a one-stop-shop in finding the perfect summer ensemble including jewelry and accessories. You won’t believe the fabulous price points and will be the talk of your town when you get home! If a shopping adventure just blocks away from the Pacific Ocean is in your plans, then don’t miss the Ocean Beach Antique District! For over 20 years Newport Avenue in Ocean Beach has been the hot spot to shop for antiques and furniture with the locals, tourists, interior designers and collectors. Even as a personal wardrobe stylist I am always on the look-out for unique jewelry and accessories for myself and clients. I love experiencing the antique shopping in Ocean Beach! The Ocean Beach Antique District is a concentrated area of antique stores featuring many different items. I love strolling through each one finding true one-of-a-kind treasures at great values. At 18,000 square feet, Newport Avenue Antique Center is one of the largest locations and features over 100 different vendors within their space. The customization of each space makes it easy to find the items that you may be looking for. I just picked up a gorgeous gold modern 1970’s necklace there at a fab price! Vignettes is absolutely chic-amazing! I love the antique jewelry and purses that they carry. They even have a special case filled with vintage Chanel jewelry! I’m in love with the items for both your home and garden at The Corner Store. The shopping here is very warm and inviting. They carry everything from antiques to shabby chic furniture. Vintage Revivals has a unique approach with the antique items that they carry. The owner re-works antique pieces and furniture making them current for today. Their warehouse is right next door so it makes it easy to see where they do their magic while customizing each piece. The goal at Newport Avenue Antiques is to carry collections and pieces that have a distinctive flair, is rare, or unusual. Their motto is “Trend Setting Affordability”. I also find great furniture pieces and vintage toys here. Ocean Beach Antique Mall is the oldest antique mall in Ocean Beach. They have over 30 years experience in offering unique antiques and collectibles. You won’t want to miss their collection of vintage and estate gold, silver, and costume jewelry. Tell us in the comments below, what is your favorite antiquing area in San Diego? Spring Into San Diego Style! So many people ask me, “What should I pack for my visit to San Diego during the Springtime?” My answer: It is all about the layering factor. With the average high of 70.5° and low of 54º, layering is key when visiting this year-round sunshine city! I would recommend packing everything from t-shirts, shorts and sundresses to jeans, leggings and tunics. Be sure to add a light jacket or sweater and a lightweight scarf for the cool mornings and evenings. Your “sunnies” (sunglasses) are key for the entire day since this is a destination known for its sunshine! The fashion, just like San Diego’s ambiance, is known for being everything from stimulating and energetic to laid-back and comfortable. I would plan on adding some San Diego chicness by purchasing a maxi dress with a fitted short jean jacket for women and some surf-chic board shorts with a relaxed soft hoodie for men. We are also a jean-inspired city so you might want to pick up the latest styles in addition to our fabulous lightweight scarves, sunglasses and go-to jewelry! Get Your Spring Wardrobe Ready with Pieces from Mog & Rue, Kyss and Robina Apparel & Accessories Boutiques. 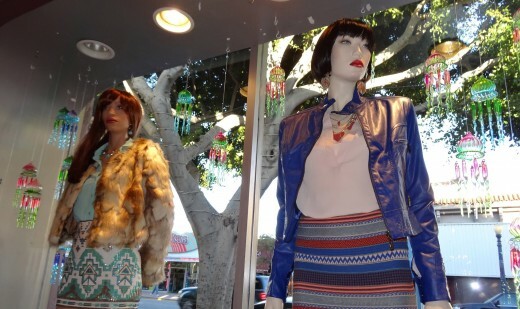 La Jolla’s Robina Apparel & Accessories offers an array of what I call generational-dressing. A mother and teenage daughter can easily pick up California-chic maxi dresses or laid-back-luxe t-shirt ensembles that captures the San Diego coolness factor. They are known for carrying unique and hard-to-find jeans, in addition to ultra-chic semi-precious long necklaces and leather cross-body bags! When it comes to men the quaint pop-up boutique called Credible Thread, in San Diego’s Gaslamp Quarter, offers go-to brands for men as well as luxe leather goods. Their own label called, Crfty, is sold exclusively through this boutique. The looks carried here are more simple with attention to detail and quality; think classic menswear with a twist at 20%-70% off of retail prices. Mog & Rue Boutique, nestled in the quaint community of Encinitas, encompasses a multitude of choices for layering pieces and accessories for women. You will always find the latest on-point trends and go-to pieces that can be added to any wardrobe. Their soft flowy cotton tanks and tunics fit anyone’s style, in addition to the colorful flirty dresses, and chic accessories. I always leave with a shopping bag! I love the selection of jeans, scarves and colorful comfy-cotton maxi’s at Carlsbad’s Kyss Boutique. The jewelry selection is heaven for any effortless-chic gal. With the concept of “Our Store Is Your Closet,” shopping here is a breeze! Tell us in the comments below, what is your go-to Spring wardrobe in San Diego? The Haute Shopping Hub of Downtown San Diego…Gaslamp Quarter! San Diego’s Gaslamp Quarter is an uber-popular destination within itself covering a 16-block historic district packed with restaurants, wine bars, nightclubs, coffee houses, theatres, and my favorite…shopping! Whether you consider yourself uptown-chic or downtown-cool, the versatile clothing of the Gaslamp Quarter boutiques will serve every purpose to make sure you have the San Diego standout style. One of my favorite places to stop by is Bubbles Boutique. Known for carrying local jewelry designers, novelty pj’s, and fun accessories it is a must to see. If jeans are your vice then be sure to browse through G-Star Raw. Here you will experience a wide range of every jean style imaginable for both men and women. 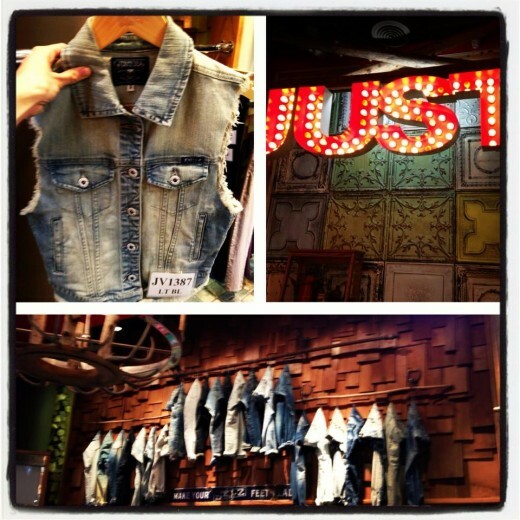 The employees will educate you in the art of denim and find the best jean to suit your silhouette and lifestyle. Carolyn’s Designer Resale Boutiquefeatures high-end designer clothing, accessories, and shoes at fabulous prices. They pride themselves in offering coveted designer labels that are in great condition. 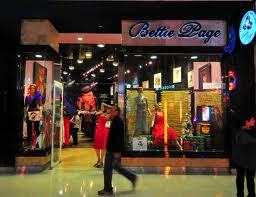 Bettie Page Boutique takes you back to the timeless fashions of the 1950’s pinup girl of Betti Page herself. If you love indie-style, retro, or rockabilly clothing be sure to stop by and pick up the latest inspiration. Goga Boutiqueis home of Project Runway’s alumni Gordana Gehlhausen. 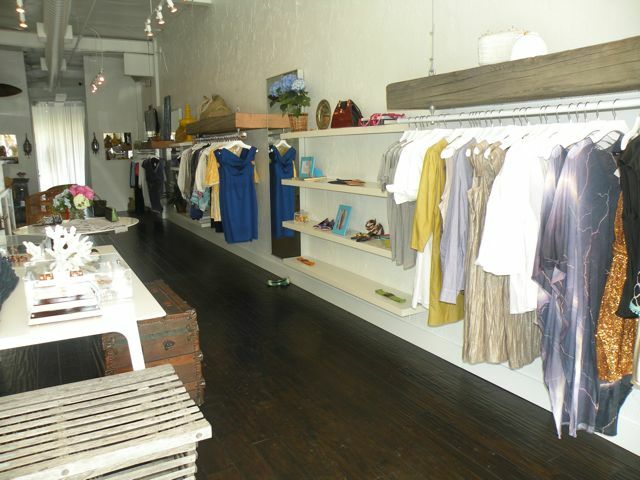 Since the boutique also features the designer’s studio, you truly feel like part of the design experience while shopping for custom-made clothing in addition to featuring other unique brands. Gordana is known for her evening dresses and gorgeous jewelry! Eden Boutiqueoffers a wide variety of urban-cool styles. This boutique is easy to navigate through and offers ultra-fresh effortless combinations of great fashions for women and at great price points! 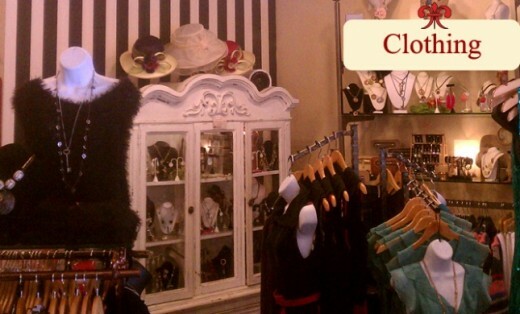 Dolcetti Boutique features fashions for both men and women. The uptown-smart styles for women and the downtown-cool styles for men makes this boutique a great option to shop together! Since they also feature a full salon upstairs you both could accomplish a one-stop-shop before your date night that evening! 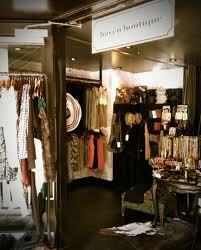 Haven Boutique makes you feel like you might be shopping in an ultra-chic hipster’s closet! A very quaint location offering everything from “beach-chic to street-chic” looks that won’t break the bank. The jewelry is also a must-see to make sure you complete your entire ensemble. I can’t forget to mention the specialty stores of Urban Outfitters and Lucky Brand offering boho-laid-back-chic looks for both men and women. These are my go-to stores for the comfortable laid-back coveted styles. Make sure you keep your energy to explore the centrally located Horton Plaza Shopping Center. This shopping center offers 130 specialty stores with anchors such as Nordstrom and Macy’s. You could plan on one day of shopping in the Gaslamp Quarter but as you can see, you just might want to make it two! 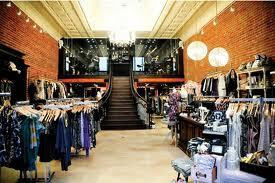 Tell us, where do you head first when headed to the Gaslamp Quarter for an afternoon of shopping? 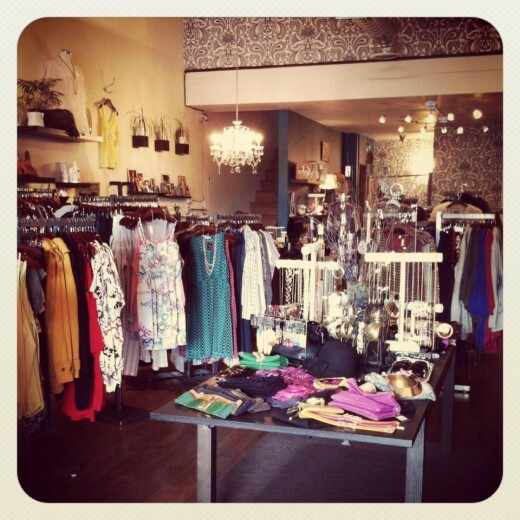 Sleek & Chic Shopping in San Diego’s La Jolla! Shopping in La Jolla is like no other. Known for a plethora of restaurants, breathtaking views of the coastline and inspiring sunsets; La Jolla offers a unique setting for shopping adventures. 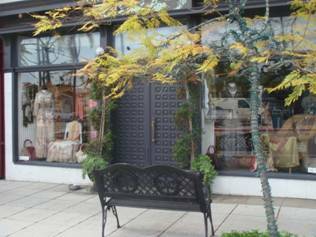 You can easily stroll throughout the village of La Jolla popping in and out of known retail stores such as Banana Republic, Francesca’s and Chico’s but also enjoy coveting the current fashion trends by shopping in some of the local boutiques. I found some of my favorite gems at Kerut Boutique. If you need to add apparel, jewelry, shoes or accessories to your wardrobe Kerut has it all from exclusive brands from all over the world. The owner has created a modern yet warm atmosphere so visitors feel welcomed and relaxed while they peruse thorough a multitude of choices of unique day-to-evening pieces. Offering “six-star service” with free overnight delivery, basic tailoring, personal shopping in-store or at hotels; this boutique is a must see! 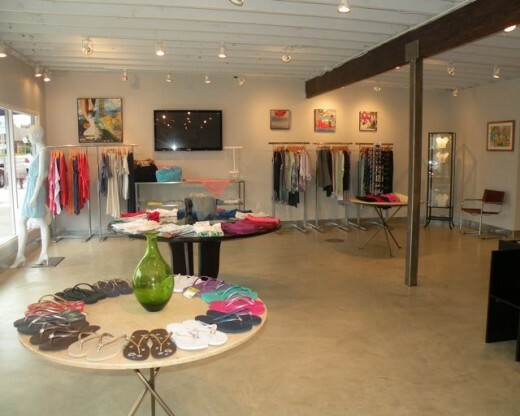 Pink Lagoon is a women’s boutique known by the locals as one of their trustworthy places to shop in Solana Beach where the original store is located. We are thrilled to have a second location in La Jolla with each location having distinctive “looks.” The La Jolla location is known for a more glamorous yet urban-chic look and carries the latest go-to essential items that transcends in to each season. This is one of my favorites! Laura Gambucci caters to the innovative fearless fashionista’s who want to stand out as their own label. The owner wants to be a step ahead of the trends and magazines on what is the current “It” ensemble for the season. From clothing to handbags, purses to shoes this is a women’s boutique with a certain “coolness factor” that you won’t want to miss. 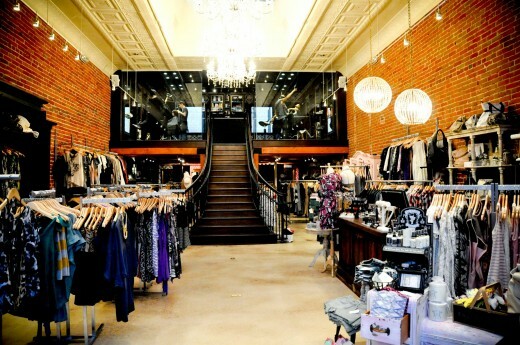 I would not be of service if I did not mention my personal shopping haven of Studio 1220. I am always indulged with choices when shopping at this boutique for the perfect urban-polish ensembles. Robina Apparel & Accessories carries a wide assortment of ultra-fresh styles that appeal to all ages! Tootsie’s Shoe Boutique is a family owned and operated shoe haven where I personally love to get my latest must-have shoe! Some other noteworthy boutiques and specialty stores to mention is the LF store known for their innovative trends and variety on current fashions for women. Another one is Boutique La Donna carrying European brands for women. Lastly, Lululemon Athletica known by the “stylista’s” for yoga/workout wear. As you can see La Jolla not only offers breathtaking views and fabulous restaurants to dine in but also offers a variety of easily accessible fashion relevant boutiques! With average daily highs of 66 degrees and lows of 50, we start off with coverage and by afternoon, jackets are off! When visiting San Diego in the winter months, you might want to pack some t-shirts, tunics, sweaters, leggings, jeans and a jacket. Don’t forget to throw in a few fabulous scarves and sunglasses! 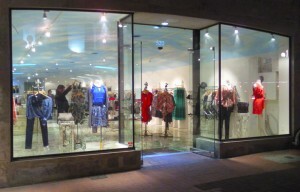 Most shopping in San Diego will offer you a variety of layering options. One of San Diego’s newest additions, Brandy Melville, offers a variety of loose-fitting tees, soft angora sweaters, jeans and maxi skirts. Women of every age will find something here to add to their wardrobe while not breaking the bank. 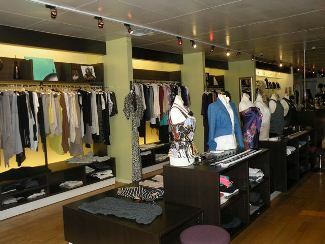 Another great place with great layering options is Max Studio in the Fashion Valley Shopping Center. This is a great location to find some versatile sleek-and-chic monochromatic layering pieces like tunics, leggings, sweaters, sunglasses and jackets. They also sell my go-to pant called the Ponti Boot-Cut Pant (great for travel)! 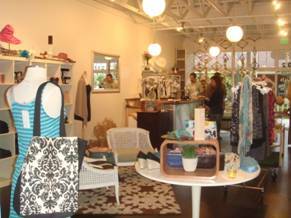 Make sure you stop by the seaside community of Encinitas to shop at Mog + Rue. This ultra-fab boutique carries both established and independent designers showcasing classic and casual yet fashion forward ensembles. The owner is a widely published fashion and beauty writer who has a keen eye on the definition of the San Diego laid-back-chic look. With so many layering options to purchase, my top three items to pick up before you leave would be a pair of fabulous sunglasses, jeans (we have an abundance of choices) and an ultra-chic maxi skirt. All three will prepare you perfectly for Spring! 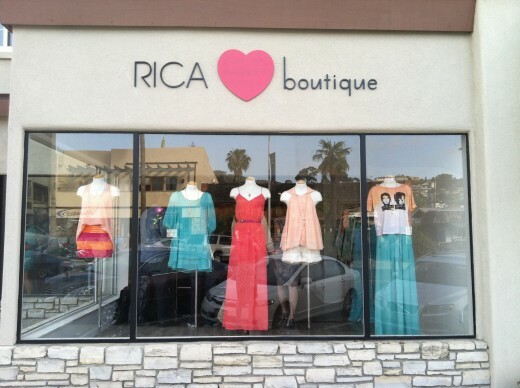 I am excited to report that Mog & Rue, a California-Chic boutique located in the quaint beach community of Encinitas, has just recently been acquired by a new owner, Christianna Ablahad. Christianna is a well known fashion and beauty writer in San Diego and New York. Recently, the boutique celebrated the new ownership in style with a little soirée featuring some of the new fashions that Christianna will be carrying. The boutique will feature regular “shopping happy hours,” carry more independent designers and continue the personalized service for every customer. Mog & Rue is named for the British slang word for cat “mog” and the French word for street or walk “rue,” translating to “Catwalk.” This chic boutique is located in the Lumberyard in Encinitas at 937 South Coast Highway 101, suite C102. If you have not visited Tootsie’s, the shoe boutique located in La Jolla, you certainly need to soon! This charming boutique has such a warm and inviting atmosphere to shop for shoes in. It is owned by two San Diego born and bred sisters, Joan Lofgren and MT Zaninovich, who have an eye for fashionable shoes at wonderful price points. Being locals, they know what the necessity is for being comfortable yet glamorous when it comes to “Shoe Candy.” You will be able to find every kind of must-have shoes that won’t break the piggy bank. They also go over and above when it comes to customer service offering to track down your size and getting the dream footwear to you as soon as possible. Tootsie’s is located at 7458 Girard Ave, La Jolla.